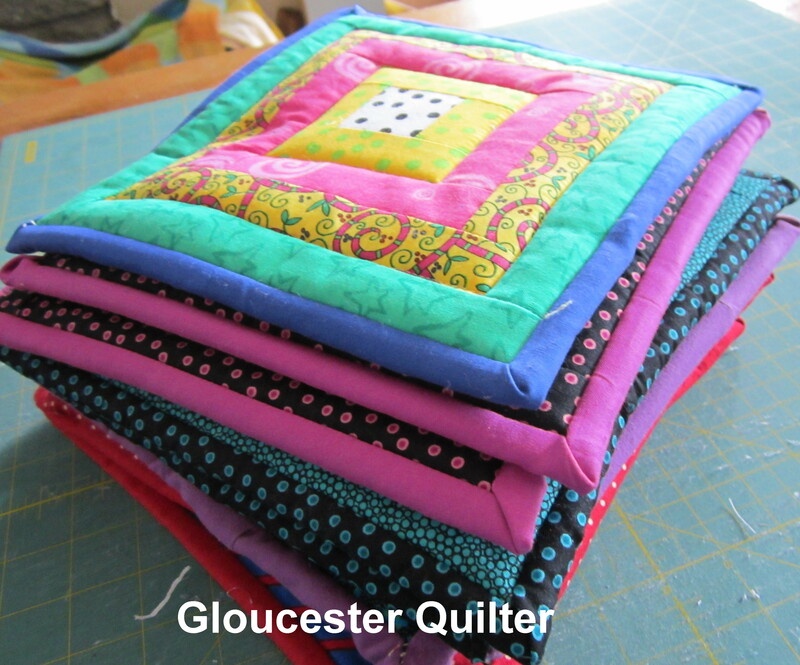 I’ve been playing with some old fabric that I used to use to make children’s quilts. Lots of playful colors and patterns. What fun! I have flipped the potholders to show you what the backs look like. I make two of each but they are sold separately. 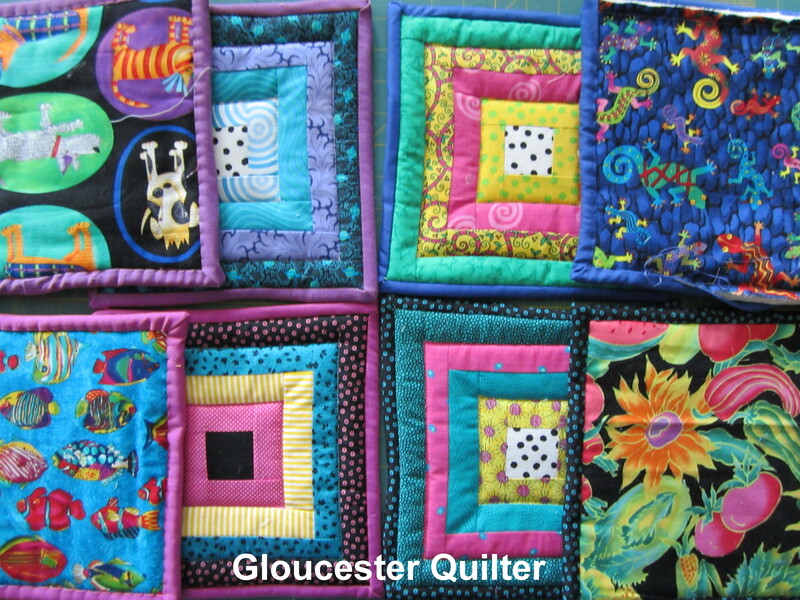 You can find my potholders at Alexandra’s Bread on Main Street in Gloucester.